The rivalry between the world's top two premium automakers has heated up as BMW AG and Audi AG have announced more ambitious car sales and profit goals in the past week. BMW expects to top its 2011 sales and earnings goals while Audi aims to double new-car sales by 2020 and achieve a profit margin of 8 percent to 10 percent by then. BMW said Tuesday that it expects annual earnings will be significantly better than previously forecast because of soaring profitability at its core automotive business and an extra 100,000 in vehicle sales. "In view of the strong performance to date and the good outlook for the coming months, the automotive segment is now expected to achieve an EBIT margin of over 10 percent for the full year," the company said in a statement. The premium carmaker expects sales this year to rise more than 10 percent to over 1.6 million vehicles versus a previous forecast of more than 1.5 million. 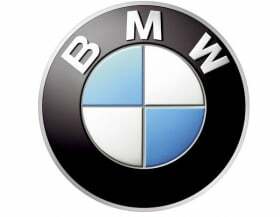 In the first six months of the year the BMW Group, which includes the BMW, Mini and Rolls-Royce brands, sold 833,366 cars, a yearly rise of 19.7 percent. Audi wants to double its new-car sales under the brand's Strategy 2020 plan, CEO Rupert Stadler told Automotive News Europe last week. "We want to sell more than 2 million cars a year by 2020," Stadler said in an interview. Audi, which sold nearly 1.1 million cars last year, aims to sell 1.5 million cars by 2014, a year ahead of schedule, Stadler said. For years, the automaker's stated goal has been to become the "most successful luxury automaker in the world by 2015," with sales of 1.5 million cars a year. BMW is the top-selling premium brand in the world through the first half of this year with a global volume of 689,861 units. Audi ranks second with global sales of 652,950 cars and SUVs and Daimler AG's Mercedes-Benz is third with a volume of 610,531 after six months. Audi's target for this year is 1.2 million sales. Audi's lineup will increase to 50 models by 2050 from 42 in 2015 and 38 this year, the CEO said. 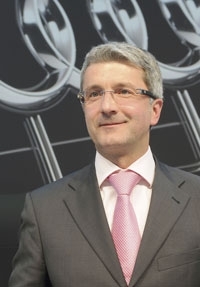 "We are planning on a profit margin between 8% and 10%" by 2020, Audi CEO Rupert Stadler said. BMW now expects to achieve an "even greater improvement in pre-tax earnings than originally predicted" for 2011, sticking to its pattern of only giving a clear target for the operating margin of its automotive segment. The company continues to target an EBIT margin of between 8 percent and 10 percent for its automotive segment for next year, a target that it aims to sustainably reach in the future. In early May, BMW said its automotive division's EBIT margin would exceed 8 percent while achieving higher 2011 pretax profit than in 2010. Audi also has an ambitious profit margin. "We are planning on a profit margin between 8 percent and 10 percent" by 2020, Stadler said. "We have already come a long way in recent years. Our profit margin never fell below 5.4 percent even during the financial crisis." In 2010, Audi achieved a pre-tax profit margin of 10.3 percent, making the Volkswagen AG luxury unit the most profitable of the company's 10 brands.